Former WBC and WBA flyweight champion Chartchai Chionoi died on Sunday at the age of 75 after a long battle with illnesses, his family said. Chartchai, whose real name was Naris, passed away at Bangkok's Nopparat Rajathanee hospital following a lung infection. "Uncle Chartchai is gone," said Sirintorn, his wife for 45 years. Chartchai had suffered from Parkinson's disease for years after 82 bouts in his illustrious boxing career. Unlike most Thai fighters, Chartchai was never involved in Muay Thai. 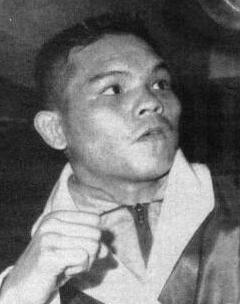 He turned professional on March 27, 1959 after a second-round knockout win over Somsak Kritsanasuwan. Chartchai was Thailand's second world boxing champion after his idol Pone Kingpetch. He won the world flyweight title after stopping champion Walter McGowan of Britain in the ninth round at Hua Mark Indoor Stadium on Dec 30, 1966. He made four successful title defences during this first reign as champion, including victories over McGowan in their rematch, and Efren Torres. Dubbed the Little Marciano after heavyweight great Rocky Marciano, Chartchai retired in 1975 after suffering a knockout loss to Rodolfo Francis. He had a record of 61 wins (36KO), 18 losses and three draws. During his career, he was granted an audience with King Bhumibol Adulyadej on several occasions. Nightly prayers for the late champion are being held at Wat Phra Sri Maha That in Bangkok until Saturday.